The vast amount of data is useless without the ability to translate it into action. Years of aggregating data from fragmented systems have left insurance brokers without a clear, unified source of the truth and actionable insights to make informed decisions. The systems that are currently in widespread use rely on manual data entry between disconnected data silos and guesswork-based estimates. They not only bleed brokers’ coffers through lost business and inefficiency but are also wholly incapable of meeting modern customers’ expectations for a better customer journey. To overcome these challenges, New York-based, Novidea has come up with an integrated, cloud-based, data-driven, and customer-centric broker management platform. The sales-centric platform helps brokers and agents in aggregating, analyzing, and interpreting data to make better decisions, nurture customers, increase profitability, and expand the business. Built specifically for independent agents, Novidea’s data-driven technology uses predictive analytics and automated insights to visualize and act on the data immediately. The ability to leverage actionable intelligence reveals all-new insights and growth opportunities not previously seen. “With advanced actionable intelligence, Novidea turns customer and policy data into fuel for improved cross sales, up-sales, renewals and overall business opportunities for the broker to deliver value to the customer,” remarks Roi Agababa, CEO, Novidea. The fully integrated platform enables brokers to manage every aspect of the business workflow—from leads to policy management to claims to policy accounting—with one seamless tool set, across all lines of insurance in a single, secure and reliable platform. Novidea’s consolidated front- and back-office architecture provides a unified view of each customer and their entire journey that positions agents as a valuable advisor. 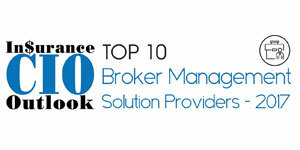 The broker management system comes with automated policy management capabilities that allow brokers to handle end-to-end processes while enhancing new policy sales by 60 percent and renewal rates by 30 percent or more. Further, Novidea’s advanced profitability optimization provides management extensive dashboards and reports, and the insights readily available at their fingertips to monitor how the different lines of insurance are performing and identify non-profitable customers. This helps brokers to make informed business decisions that ultimately maximize the bottom line profitability of the business. With its multilingual, multicurrency support, the system’s borderless architecture allows global brokers to deploy a single system across multiple territories, benefiting from having a common language and synergy across the organization. Also, the platform delivers a unified, omni-channel personal experience across all communication channels to improve the flow of information between broker and customer. With an impressive global customer base spanning 10 countries, Novidea was selected by leading brokers for managing everything from prospecting and sales, performance management and forecasting all the way down to policy administration and back office operations. Novidea’s customers such as Howden, Marsh, M&N, etc. had outdated systems and visibility was a challenge. By replacing their legacy software with Novidea’s platform, not only were they able to adapt the system to a different country, regulations, and different compliance, but also to get real-time visibility and improved performance across the entire workflow. With offices in the US, UK and an R&D Center in Israel, the company is investing in its global footprint at the right time with a unique and innovative offering—giving brokers the tools and technology they need to evolve their offerings to stay ahead of the curve, differentiating themselves as value-add experts and advisors providing an optimized experience for their customers. “Our commitment is to help insurance brokers take the quantum leap in growth by monetizing the wealth of opportunities the insurance market offers,” concludes Agababa.